After Smackdown Live Fantastic Pay Per View WWE Presented RAW last night where We're less than two weeks away from Roadblock and the top of the card seems to be set. The big story continues to be Roman Reigns vs. Kevin Owens but the big question is how to keep Sasha Banks vs. Charlotte going even longer. They’ve only had five title changes in about four months and that’s just not enough. Let’s get to it. 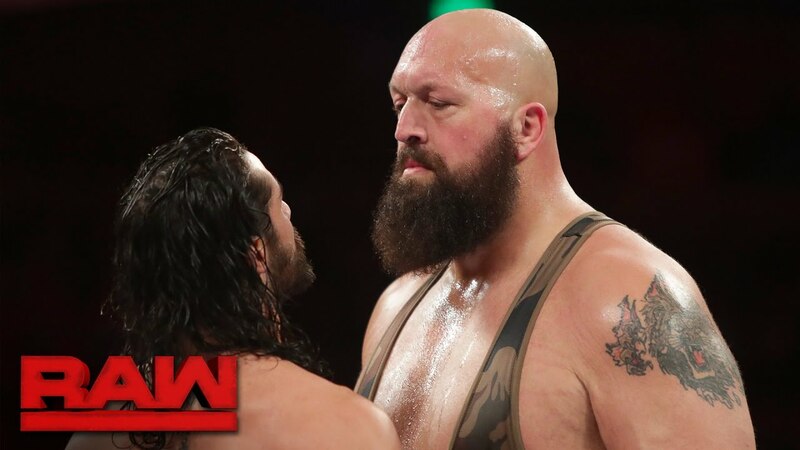 We open with a long recap of Seth Rollins/Roman Reigns vs. Kevin Owens/Chris Jericho, including everything last week that set up the Roadblock main event. Here’s Seth to get things going and he gets right to the point: he wants HHH. Life is about choices and one of the choices he made cost him a lot of his career. That was trusting HHH, but now he wants to get his hands on Chris Jericho. This brings out Owens, who doesn’t want to talk about his best friend’s health. Owens and Rollins don’t like each other very much but Kevin wants to talk about his Christmas presents. First up is a US Title match when Jericho will challenge Reigns for the title. Other than that we have Jericho vs. Rollins at Roadblock and a third match taking place right now. So wait. NOW we’re going back to the HHH feud? I’m glad we’re getting somewhere with it but this feels like your standard Raw storytelling: we don’t have any reason to do it now but it has to be done so let’s just do it now and hope for the best because the details will work themselves out. Is it that hard to do ANYTHING to make this feel a little more natural? Show has REALLY slimmed down and is billed at 395lbs. Show tosses him around to start but Seth dropkicks the knee. More kicks to the legs set up the springboard knee to the head but Show doesn’t go down. A top rope version works a bit better but Show just shrugs it off again. Owens tries to yell at Show and gets chokeslammed for his efforts, leaving Show to walk out in what seems to be a mid-match face turn. Rollins wins by countout at 5:15. Rating: C-. This was fine and another good use of Big Show. He and Kane both have been around for a LONG time but they’re still good for something like this. The match was more over an angle (though I’m not entirely sure what that angle is) and that’s fine for a five minute match. Rollins superkicks and Pedigrees Owens. Video on Jack Gallagher. He debuts tonight and we’re all better because of it. Gallagher does the spinning wristlock to start and makes sure to smooth out his hair for good measure. The handstand walk gets him out of a headlock as we hear about Gallagher’s influences: Mankind, X-Pac and Steve Austin. Well he has good taste. The headbutt to the chest sets up the running corner dropkick and Daivari is done at 2:43. Gallagher is going to be a STAR if they give him the chance. Daivari shakes his hand but takes out Jack’s knee like a villain should. Owens yells at Mick Foley and says this wouldn’t happen if Stephanie was here. Foley really doesn’t care and walks away. Owens goes up to see Jericho, who just got here. He runs the matches by Jericho but Chris says the two of them aren’t good. Enzo and Big Cass are in the back when Rusev and Lana are arguing a full fifteen feet away. Enzo goes over to defend Lana’s honor so she takes her ring off and throws it away. The certified G looks stunned and sends Cass away so he can pick up the ring. He asks Lana how she is doing and Lana looks sad. I’m enjoying this idea WAY too much. Post break Enzo and Lana are still talking and she doesn’t think her husband understands her. She thinks Rusev needs to be taught a lesson. Maybe he wouldn’t take her for granted if another man appreciated her. This leads to an invitation to Lana’s hotel room. Wouldn’t that be Rusev’s room too? Lana leaves and Enzo dances. Non-title as this feud just won’t go away. They slug it out to start with Owens bailing to the floor. Sami follows and gets sent into the barricade, followed by a big flip dive to the outside. That’s fine with Zayn as he hits one of his own, sending us to a break. Back with Sami fighting out of a chinlock and grabbing a tornado DDT onto the apron. The dive into another DDT knocks Owens silly but he’s fine enough to hit his swinging superplex for two. Back to back Cannonballs have Sami reeling so he does a third tornado DDT. The half and half suplex sends Owens flying, followed by the Blue Thunder Bomb for two. A quick Pop Up Powerbomb finishes Sami in a hurry at 10:30. Reigns comes in to see Jericho and the words STUPID IDIOT are uttered. Basically Reigns says don’t get cocky. Video on Sasha Banks vs. Charlotte from last week. Sasha challenges Charlotte to an Iron Man match for Roadblock. As for Ric Flair, Charlotte doesn’t deserve to live in his legacy. We look at Charlotte yelling at her dad back in May. Non-title. They shake hands to start and Swann gets taken down off a shoulder. Back up and Swann scores with a dropkick and does a little dabbing. We hit a waistlock on Perkins for a bit until he dropkicks Swann’s knee out. There’s a running dropkick to knock Swann out of the Tree of Woe for two. Perkins goes to the top and dives almost into the spinning kick to the face to give Swann the pin at 5:51. This is over Bayley giving Cedric Alexander a Bayley Bear (yes that’s a real thing) even though Fox has a thing for Alexander. Fox gets knocked into the corner to start but grabs the northern lights suplex for two. We’re already in the chinlock but Bayley pops up with the Bayley to Belly for the pin at 2:20. Enzo: “My mind is telling me no but my body is telling me bada boom go to the hotel room.” Cass isn’t sure but Lana texts Enzo with a picture included. Cass seems to change his mind as Enzo runs off. Rusev comes up to ask Cass where Lana is. A match is made for later. Titus is marketing this as the Tussle in Texas. World’s Strongest Slam ends Titus in 25 seconds. Enzo is waiting on his Uber but gets a limo containing Ric Flair instead. Ric gives him the limo upon hearing about the foreign blonde. Jericho wants Owens to stay in the back. Roman is defending and is actually driven into the corner to start. The Superman Punch is countered with a dropkick and a clothesline puts the champ on the floor. A big dive to the floor takes Reigns out again and we take a break. Back with Reigns caught in a chinlock for a bit before being tossed out to the floor. The Lionsault only gets two and the fans are getting WAY into Jericho all over again. A Samoan drop and Superman Punch get two on Jericho and the Codebreaker is countered into a sitout powerbomb. Roman goes shoulder first into the post though and we hit the Walls. As Reigns grabs the rope, cue Owens for a superkick. The Codebreaker gets two on Reigns but the Canadian argument sets up the spear to retain the title at 13:43. The winners get New Day, at ringside here, next week for the titles. Anderson and Gallows go outside and get in New Day’s face to start but the Europeans run them over, sending the cereal flying. Back from a break with Cesaro fighting out of Anderson’s chinlock and escaping the Magic Killer with some help from Sheamus. The hot tag brings Sheamus in for the ten forearms to the chest but everyone winds up on the floor for the brawl with New Day and that’s a no contest at 9:58. It’s time for the big ending with Charlotte (who has accepted the Iron Man challenge) apologizing to her dad. We see her yelling at Flair (that makes three times tonight) but it was even harder to see Flair raise Sasha’s hand last week. Charlotte says no one can imagine how hard it is to be Ric’s daughter because of how big his legacy really is. Then last week she saw her dad raise Sasha’s hand and she knew she had failed as his daughter. Flair comes out and hugs her but, of course (that’s a trend tonight) she slaps him in the face. Cue Sasha but Charlotte Alley Oops her face first into the post. Charlotte mocks Flair crying and walks away to end the show.